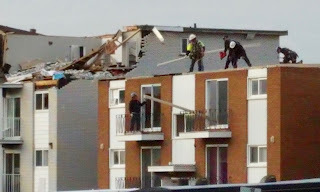 Damaged buildings in Hull, Québec three days after the tornado. INCHEON, Republic of Korea, 8 Oct - Limiting global warming to 1.5oC would require rapid, far- reaching and unprecedented changes in all aspects of society, the IPCC said in a new assessment. Details here.